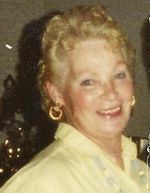 Marcella "Sally" Mae (Gregg) Gray-Massa, 81, of Ashland, went home to be with her Lord and Savior on Wednesday evening, March 10, 2010. She was born June 4, 1928, in Ashland, OH., the first born child of Albert E. Gregg and Mildred E. (Pryor) Gregg Wolfe. She married Joseph N. Massa on March 23, 1985. Sally was a member and dedicated Sunday school teacher at the Ashland Church of God for many years. She also enjoyed working with the youth of the church and served as a Youth Camp Counselor for many years. In 1995, she started attending the Ashland Church of the Nazarene. She worked at the old Faultless Rubber Co. and retired from Abbott Laboratories in 1983 after 32 years. Sally deeply loved her family. Her evening cookouts around her homemade grill were special and will always bring a smile to the faces of her grandchildren. She had a talent for drawing and she liked to crochet doll dresses, hats, and scarves. She loved animals and cared for those that were abandoned. She is survived by and deeply missed by her husband, Joe, of 25 years: her daughter and son-in-law, Mary Alice and Richard Yergin of Wooster; 3 grandchildren and spouses, James and Tracy Yergin of Smithville, Terri and Bryan Townsend of Ashland, and Michelle and Michael Woodall of Burbank, OH. ; four great-grandchildren, Jennifer and Tyler Townsend, and Twyla and Trenten Woodall; 5 sisters, Alberta Hudnut, Patricia Farmer, Mabel Harris, Nellie Carol Schrack all of Ashland, and Janet Baumgardner of Nevada; 1 brother and sister-in-law, Norman and Connie Gregg of Fredericksburg, OH. ; sister-in-law, Sylvia Massa of Wilmington, Delaware; and a brother-in-law, R. Dean Harrison of Ashland. She was preceded in death by her parents; 1st husband of 23 years, Edward W. Gray in 1966; 3 sisters, Doris Mullet, Marjorie Harrison, and Phyllis Swaisgood; infant twin brothers, Harry and Larry Gregg; and brother-in-laws, Melvin Mullet and Robert Swaisgood.